Forum - There is Your Proof. Whilst I have always acknowledged that Winx is a good horse and better than anything else she has beaten, I have always maintained that the standard of middle distance weight for age racing in Australia is at its lowest in history. The QE yesterday was a total and utter embarrassment. 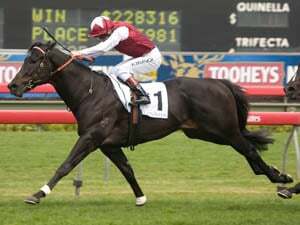 The Japanese horse came to Australia to race our no hopers in the Doncaster and was to return to Japan, but apparently Tommy Berry convinced connections to stay for this race. Now this Japanese horse is a real third rater. He has not won for over three years and is Group Three at best. Yesterday he towelled the opposition that Winx usually flogs and ran her to just over a length. 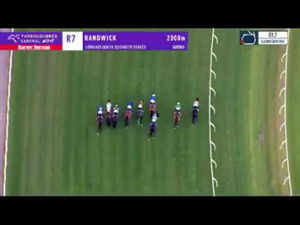 Winx was set for this race. It has been her swan song for months. This bloke, it was an afterthought and he flogged the remainder of the field. Aren't they supposed to be our best wfa horses? Unfortunately, Winx is a very good horse that has had a career of beating rubbish. 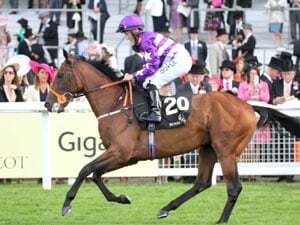 Now she has been retired you can all sit back and just watch this rubbish run for millions of dollars unless a few shrewd Japanese owners choose our races over the knackery for any of their non performing no hopers. Subject: There is Your Proof. Subject: Re: There is Your Proof. re Brenton Avdulla- do you follow twitter? Some interesting tweets on there this morning re Winx/Almond Eye from BA and HB etc. Spin it how you like, you've run in beating your chest and now you've been challenged and youre backing out of it like the skirt you are. Are we having a bet on this or are you going to go and hide in the corner again? On the contrary, Parrot. I believe he explained to you his article about the duds that Winx beat. After all, there were a few words there with more than one syllable. no one cares about your BS. Betting or you running scared again? Does your friend explain my posts to you and then help you write a reply? You can try and spin it how you like, it means very little to me or anyone else. I told you what he said to me. Bet time, or are you to gutless? You won't bet because you're a little coward troll and you know I'll pants you yet again. So this guy writes about the no hopers that she beats, the Parrot supposedly reads the article, this guy then tells the Parrot that it means something else and the Parrot is satisfied. Ive told you what Kev told me, there was plenty more. Did you want to place a wager on any of this? We know how that went for you last time. Were some of the words too big, Parrot? What part confused you when he spoke of those twenty odd horses that would have been competitive? What I don't understand Hands is that most of you Winx tragics can only see your side of the argument. No one is saying she is not any good, just the opposition. The two are not mutually exclusive. It is like that ridiculous claim that no one has come over here to take her on because they are afraid. These overseas stables set their good horses for good races. They don't go rushing around the world the minute a horse in some far off inferior racing jurisdiction wins races. Do you really imagine they would all withdraw from Japan, the UK, Europe or Dubai because she turned up? They have seen what their third raters do over here, they don't need to send anything better. Do you really think the leading stables are interested in winning the Chipping Norton, the Queen Elizabeth or the Cox Plate? They are nothing races on the world stage. Just enjoy here for what she is. The best racehorse of this era. Can't you handle the truth Welcher? No need to actually answer that, we all know honesty isn't something you're big on. The two Besties have been turned inside out this week by THEKING, REX, GARY, and HANDS n HEELS. So much so, that they have brought out "The Third WHEEL"? Poor response from you gladys, though not unexpected. No reasoned argument, just ridicule followed by the usual baseless drivel. On this very thread you accuse Gary of hurling insults as a basis for explaining that he has nothing (your words). You do no better on your response to me so its fair and reasonable to assume that you also have nothing. Why would he need to tell you what was in the article if you had supposedly read it, Parrot. Did you forget what you read or just did not understand what you read? A quote from Brenton Avdulla from a rival web site re Kluger. “You just have to look at how well Kluger went. 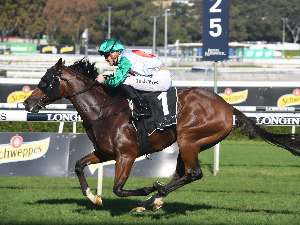 He hasn’t been competitive in their big races in recent seasons and if they actually decided to bring their real deal horses to Australia, we wouldn’t get near them." Just told you what he told me welcher- cant you read? I imagine he told you something completely different than what is in his article, Parrot? Kevins exact words to me, "My article (or anything I've ever written about her) doesn't question her ability"
So yeah, I'm sure I read the same article as the rest of you. "Hi WCF. I love the banter on the forum. I trust you don't take it personally, just a bit of fun" "Anyhow, back to the stirring"
Was he building up her status when he referred to her as "A Giant Among Pygmies"? Are you sure you read the same article as the rest of us Parrot?